The next time you put your baby in a bouncer, walker or strap-in chair, think carefully. Studies show that too much time spent in them can prevent them babies from getting the exercise that they need for healthy development. If a rocker, bouncer, car seat or other restraining device is to be used, confinement should be limited to short periods of time only. Babies need plenty of opportunities to exercise their bodies and their brains in order to move on to the next stage of development. They also need to spend time in close contact with a loving adult. It makes sense to put your baby in a car seat when travelling, but use should be restricted to car journeys only. Head control can be delayed in babies who spend too much time in car seats and other restraining devices. A baby walker may give your baby a sense of mobility and freedom, but it can delay the development of muscles in the upper body. 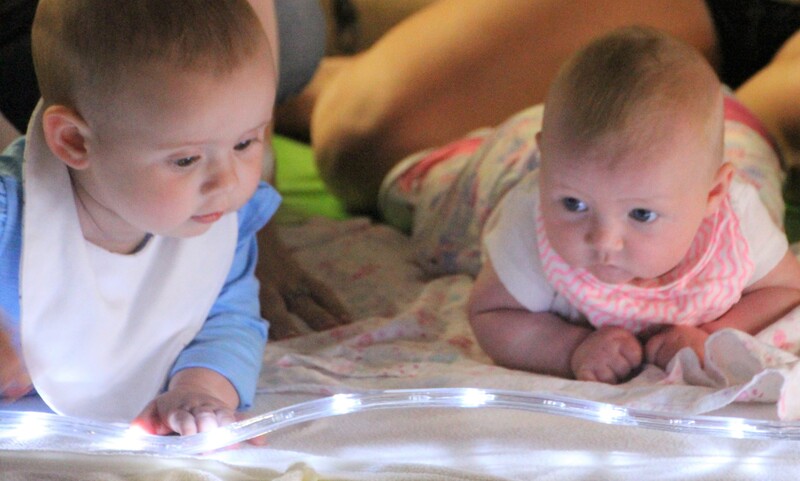 Your baby may also miss out the crawling stage, which is a crucial developmental milestone. Baby walkers allow babies to move very quickly, but if unsupervised, they may crash into furniture, fall over steps or tip over into a heater or fire. Walkers are responsible for about 24 thousand reported accidents every year. In some countries, the sale of baby walkers has been banned. Most babies enjoy the exhilaration of exercising in a doorway bouncer. However, overuse can lead to spine and back problems in later life. Babies can also develop foot and joint problems from pushing up on their toes. Babies need to develop essential balance and stability skills by themselves. Containers that hem the baby in by enclosing their legs are also potentially dangerous. Some babies react by arching their backs and by throwing themselves backwards or forwards in an attempt to escape. Serious injury to the head may be sustained if the baby falls out of the seat and on to the floor. High chairs are permanent fixtures in most homes. Unless safety straps are used, babies are at an increased risk of sustaining skull and limb fractures when they try to stand up. Brain concussion or even death can also occur if the baby falls out of the chair. Some containers are less restrictive than others. An old-fashioned pram or a play pen can keep your baby safe during busy periods. A wearable sling carrier or wrap offers a useful alternative to a conventional container. The carrier keeps your baby close to your body where he or she feels safe and secure. Your baby will also benefit from the extra stimulation of looking around and seeing the world, and you will benefit from being able to get on with daily chores. The consequences of spending too long in a container are only just beginning to emerge. Problems such as clumsiness, poor posture, eye problems and delayed motor skills have been linked to their misuse. Babies have an in-built drive to be mobile from birth. Through exercise, your baby’s muscles grow strong and the brain becomes increasingly proficient at controlling complex actions. Freedom of movement improves sleep patterns, reduces stress and frustration and boosts the immune system. Exercise also helps to protect against heart disease and obesity in later life. To keep your baby’s body and brain healthy, a container should only be used when absolutely necessary. If your baby appears uncomfortable or starts to fuss, then close physical comfort should be provided. Alternatives, such as a wearable sling carrier could be considered during busy times. However, the best solution is to get your baby out of the container and on the floor to encourage mobility skills and overall brain development.